All our teachers are practising artists who have extensive training combined with many years of experience. You can be assured that you will receive expert tuition and personal guidance when you attend any of our workshops and classes. 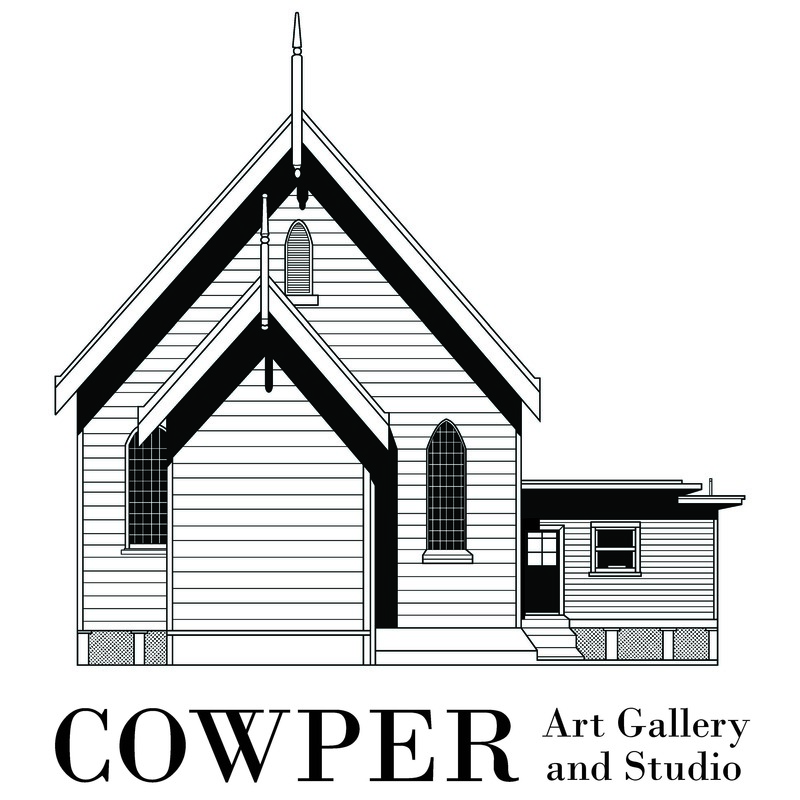 Kerrie purchased the former Presbyterian Church in Cowper in 2015 and with her son James Bowles-Leeson opened the Gallery in November of that year. In January 2016 Kerrie taught the first workshops in the Studio and has been teaching across various media since that time. 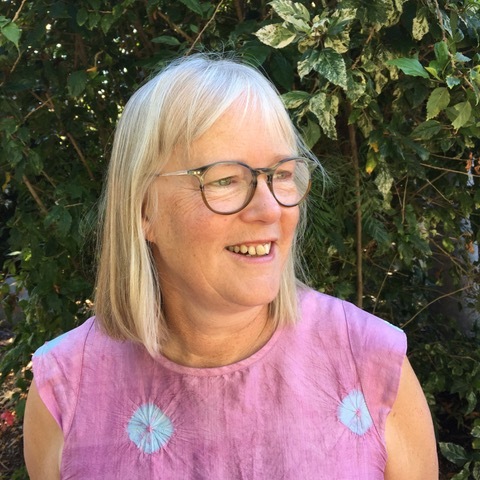 Kerrie has a degree in Visual Arts Education and has taught extensively over many years in Art and Design in Clarence Valley high schools, TAFE and community organisations. She has a wide range of experience as a business owner and has previously owned businesses in retail and manufacturing. Kerrie also holds both undergraduate and postgraduate degrees in psychology, and her current ‘day job’ as she likes to call it sees her continuing to work in Clarence Valley high schools in this area of expertise. Kerrie’s Art practice began with specialisation in Printmaking and Photography when she attended Newcastle Art School. Textiles have always been an integral part of Kerrie’s practice and her Art Quilts have been shown in major Australian shows as well as in Japan and the US. More recently analogue collage has become a bit of an addiction and you will see many of these works at times in the Gallery. Exploring new ways of working and creating is something that Kerrie continually seeks out and teaching these skills to others is an important part of who she is and what she does. Raimond has been teaching in the Studio since late 2017. He is a practicing Photo-Media artist specialising in digital technologies and 19th-century photographic practices. 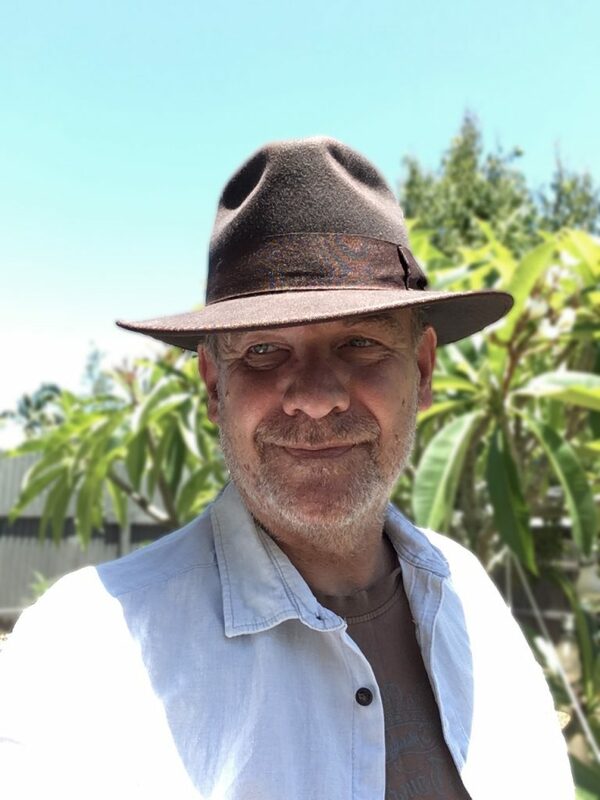 Raimond taught photography for over 15 years at Charles Sturt University in Albury and at Southern Cross University Lismore, and has been producing and exhibiting works of art for the last twenty years. His works can be found in public and private collections in Australia, Europe and the US. Raimond teaches workshops in the art of creating Cyanotype and Gum Bichromate prints. His classes are informative, hands-on and a lot of fun. 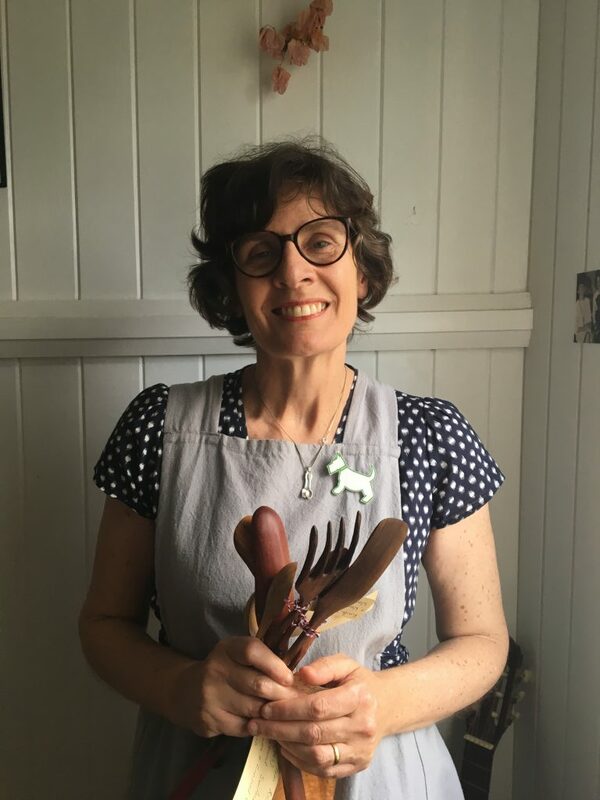 Carol began teaching Spoon Carving workshops in the Studio in August 2018. Carol Russell is a self-taught woodworker who has been making pieces for most of her adult life, She began a course of study in 1987 with small furniture projects and antique restoration, spending time in professional workshops and learning what she could from craftspeople who were prepared to share their knowledge. This “on the job’ experience gave her insights into both the commercial and creative processes of making furniture and small objects from sustainable timber. 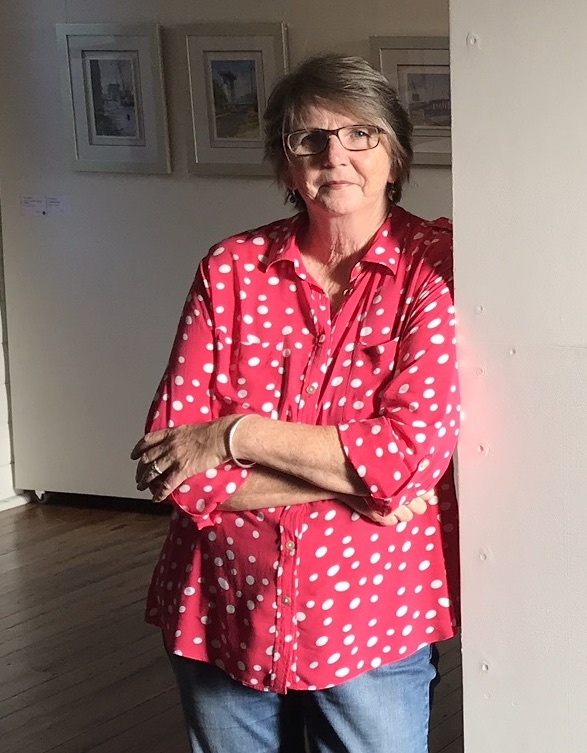 She spent several years on small commission projects, exhibiting her work in galleries in Brisbane, Canberra and Sydney. Carol became interested in teaching the craft herself. In 1997 she began teaching woodwork at Carbatec, a supplier of woodworking tools in Brisbane, where she was employed to create and run a woodworking school. She worked with them on a part-time basis for nearly 17years, whilst maintaining her own workshop practice. The Australian Wood Review have published several of her articles on tools and woodworking techniques. She now works full time teaching and creating unique pieces of tableware from Australia’s forest timbers. Harry has been teaching in the Studio since the end of 2017. 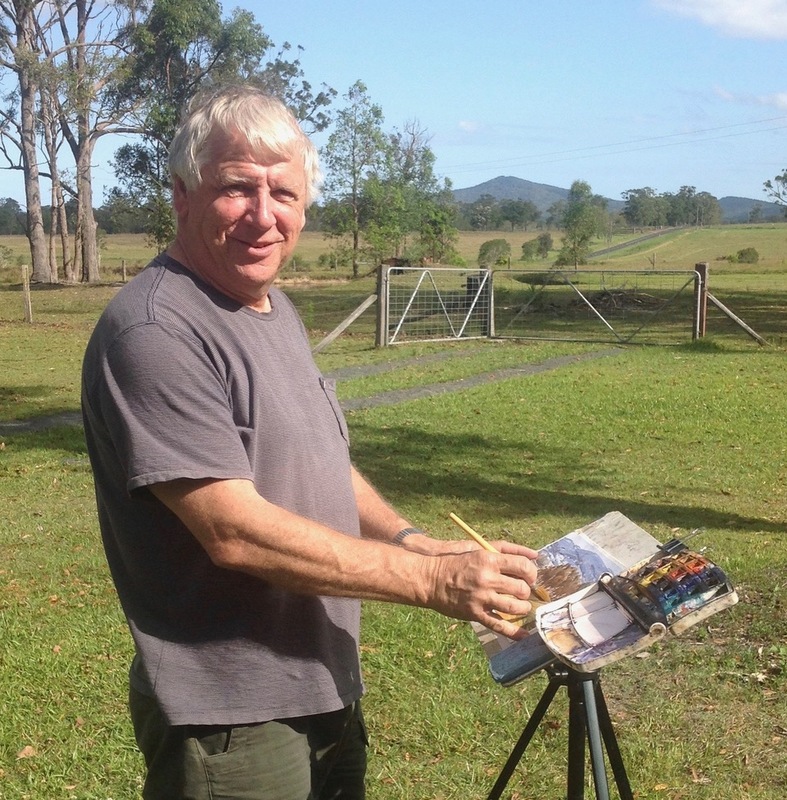 His watercolour workshops and classes have provided many Clarence valley artists, both experienced and beginners, with a whole new set of skills in this beautiful media. Harry trained in classical oil painting at Julian Ashton’s Art School in Sydney, and also has an Honours degree in Art History from the University of Sydney. He took up watercolour painting around ten years ago to try something different. An often difficult and challenging process Harry loves the feeling of light and freshness that can be expressed with this medium. Harry teaches classes in watercolour and drawing in the Northern Rivers, Norfolk Island, Central Australia and Italy, and has won first prizes in watercolour in the Bentley and Maclean shows in recent years. Recently, Harry has been collaborating with Kerrie in the Gallery’s Come Away with Us Art Tours providing expert tuition to tour travellers in beautiful settings both in the Clarence Valley and Norfolk Island. See our Tours page for further information. Harry’s work can been seen via his Facebook page. Ruth was our first external teacher to teach in the Studio with a huge weekend of basketmaking in July 2016. We usually host Ruth’s workshops when she is travelling through from her home state of Victoria to far North Queensland during the winter months. Ruth has taught a wide variety of basketmaking techniques in the Studio and inspired many Clarence Valley residents to continue to pursue this meditative craft – including Gallery owner Kerrie! Ruth originally trained as a clothing designer and has worked with textiles, fabrics and craft her whole life. Graduating from Box Hill TAFE with her Visual Arts Diploma and Monash University with a Bachelor of Adult Learning and Development; she has taught many craft related topics at TAFE level and in community education and has a passion for teaching. ​Basket weaving is an ancient craft that has been practised for centuries around the world. Ruth’s own unique basket making style is a fusion of many influences she’s been inspired by, weaving with Basket Makers of Victoria, and living and working with indigenous weavers in remote Australia and South East Asia.